SATURDAY MORNING SUPER-VILLAINS - LEX LUTHOR GETS "SUED"
Superman existed in Earth Prime-Time. 'The Adventures of Superman' were a chronicle of his exploits in the main Toobworld and George Reeves is the official portrayal of the Man of Steel for TV. But his arch-enemy Lex Luthor never appeared on that show; unfortunately, most of the Superman mythos was never adapted for the television medium. However, the villain has appeared in other TV dimensions, mostly in various shows of the Tooniverse. But he was also a regular for the other Supermen in 'Lois & Clark' and 'Smallville'. I've written up my "wish-craft" for who I think would have been perfect for the role of Lex Luthor in the main Toobworld - R.G. Armstrong. Although we never saw him in the show, I believe Lex Luthor did exist in the main Toobworld. And as was the case with Superman, the existence of Lex Luthor as a bald-pated villain was finally known to the general public by the new millennium. 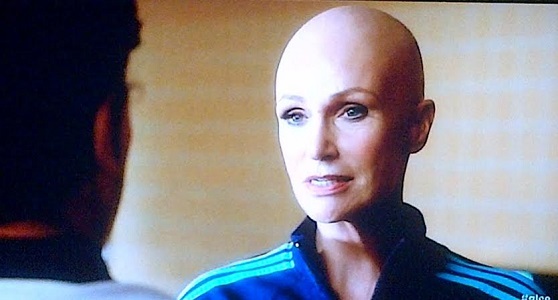 And that's why Sue Sylvester was able to make the reference, comparing herself to him. The fifth season of 'Game Of Thrones' ends this coming Sunday - how can ten weeks go by so quickly? I posited in the past that survivors from the Cybermen take-over of Mondas (the planet on which Westeros can be found) escaped to Earth Prime-Time and became part of the several invading humanoid species who would blend their DNA together to form the Terran humans we see in our TV shows today. 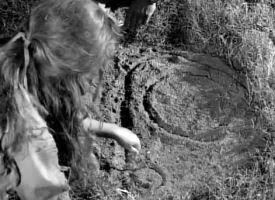 The one survivor from this refugee ship whom we met in a TV show was Eve Norda from the 'Twilight Zone' episode "Probe 7 - Over and Out". From Captain Adam Cook's attempt to converse with her, we were supposed to accept his assumption that she was the only survivor of her ship. But I believe that they all survived the landing on Toobworld and that when Eve Norta and Adam Cook walked away together, she was going to lead him straight back to their settlement. 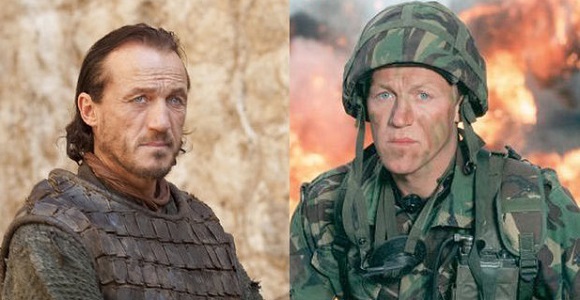 With all of the survivors from that Mondasian refugee ship, there would be enough samples of genetic material that had been passed down through the generations from the times of the seven kingdoms of Westeros. And once those Mondasians began breeding with the Golgafrincham survivors and other early humanoids who arrived on Earth Prime-Time, those genes would be passed down into the new breed of characters who would populate Toobworld. 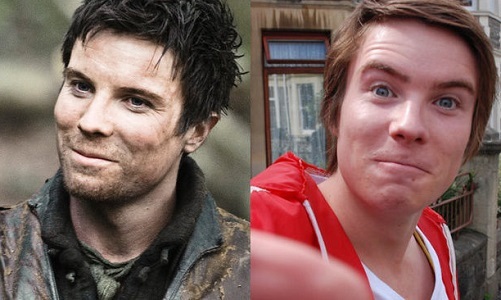 And sometimes the combination would be just right to recreate the likeness of characters we know from 'Game Of Thrones'. And that's only a few! This doesn't mean these would be the only "replicants" to resurface throughout the generations of Earth Prime-Time. 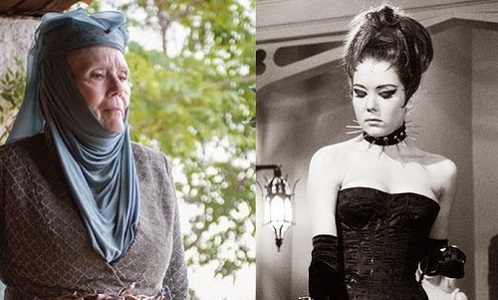 Just because Olenna's DNA would recombine for Emma Knight, that doesn't mean it couldn't happen again. SPLAININ TO DO: "JONATHAN CREEK" AND "SGT. BILKO"
Always loved your Ritzik on 'Sgt. Bilko'. Both Mrs. Gessler and Joey Ross looked at Jonathan as if he had been speaking in tongues. In a perfect Toobworld, this reference would never have come up, since the characters of 'Sgt. Bilko' exist in the same world as Jonathan Creek. But it's like a variation on Andy Warhol's famous statement: In Toobworld, everyone will have their own TV show. 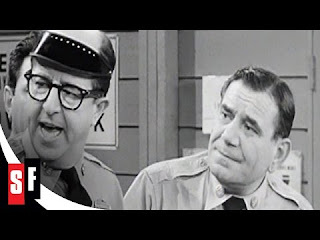 At some point, the Army career of Ernie Bilko, master of the Fort Baxter motor pool and master manipulator, must have been deemed worthy of a TV show. We've seen Bilko get involved with Hollywood types in the past, always trying to take advantage of the situation when they needed expert advice or were filming on location. Somebody from one of the studios must have remembered this con man extraordinaire when it came time to come up with a new sitcom premise. So it's pozz'ble, just pozz'ble, that Jonathan Creek saw that sitcom based on the life of Ernie Bilko and remembered Joe E. Ross as Sgt. Ritzik. Presto change-O! No more Zonk! Richard tells Patty that she "usually has more angles than Sgt. Bilko." Jack mentions falling off his chair laughing while watching the show as his "war injury". The Fox refers to Sgt. Wiley as "Sgt. Bilko." Mentioned by Robin (as Bilko). Joel: "Sgt. Bilko, this tollbooth idea isn't working." Crow: "Sgt. Bilko? What's he doing here?" Tom: "Bilko, what are you up to?" Brian is referred to as Sgt Bilko. When Tony sees Anthony Junior in a military school uniform, he calls him "Sgt. Bilko." Andy calls his drill sergeant "Sgt. Bilko"
Celebrity impressionist Jim Bailey has passed away at the age of 77. 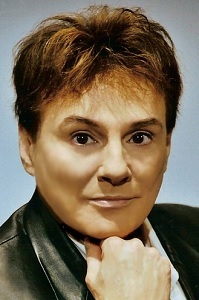 He was best known for his Vegas act in which he transformed himself into stars like Judy Garland, Barbara Streisand, Peggy Lee, and Phyllis Diller. 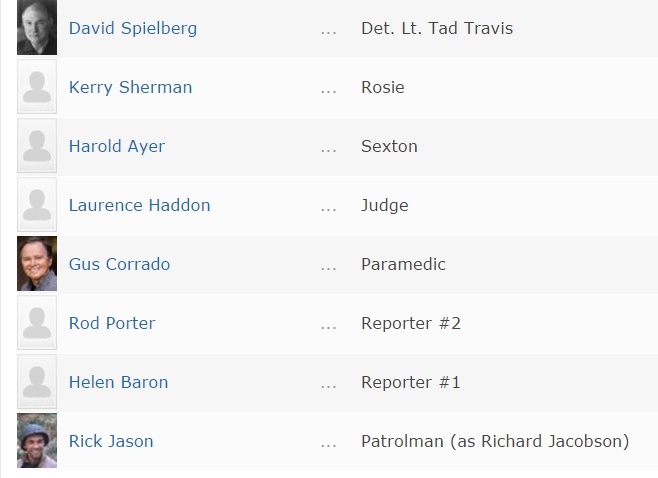 Looking through Mr. Bailey's credits on 'Old Reliable', the IMDb, I thought I had a case made for his inclusion into the Television Crossover Hall Of Fame as a member of the League of Themselves, without cheating by bringing in his appearances on variety programs like 'The Carol Burnett Show'. However, it could be that he appeared in "The Jersey Bounce", the other 'Rockford' episode which featured Antonacci and Gene Davis as Eugene Consigliaro and Mickey Long, respectively. I have yet to check that out. USA Network is coming up with their own version of a 'Curb Your Enthusiasm' type of sitcom in which a celebrity plays him/herself in a fictionalized version of their life. 'Seinfeld' is another example. And although the show was not centered on them, 'It's Like... You Know' with Jennifer Grey and 'Half Nelson' with Dean Martin would examples as well. "On camera, he is an expert on every topic, from cellulite to sexting; off-camera, he’s a filterless rogue who lives in entertaining contrast to almost everything he espouses publicly. Surrounding him is a team of women who work tirelessly to cover his tracks, but he still finds a way to make bad decisions with good intentions." Other characters in the show will be Jackie, his top assistant at the production company for the show and Violet who is the newest member of the team. And on the show he will have a son named Jagger, whereas in the Real World he has two daughters. MAILING TOOB: WHO IS THAT MAN? So the IMDb has done it again. "Ol' Reliable" claimed that Rick Jason - who played Lt. Gil Hanley in one of my childhood faves, 'Combat!' - played a Patrolman in this episode. 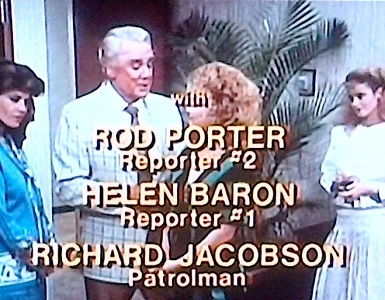 I had consulted the site as the episode began because I recognized the tennis match judge as Laurence Haddon (whom I knew from 'Mary Hartman, Mary Hartman' & 'Lou Grant'.) But as he had only two lines at most, I thought I must have been mistaken. So when I saw Rick Jason listed, I figured the episode might have other cameos as well. So I kept an eye out for the patrolman to show up and even under the cover of darkness and wearing his cap low to his eyes, I knew that wasn't Rick Jason. And the final credits proved me right. But then I did some research and found out that Richard Jacobson was Rick Jason's real name. 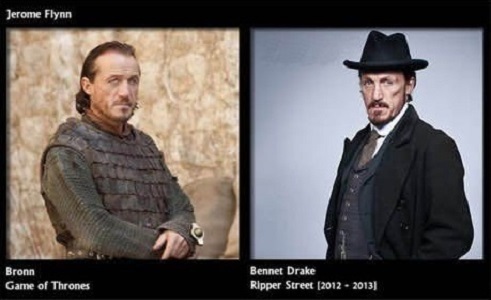 Perhaps when he felt the role wasn't big enough, he acted under his real name instead. 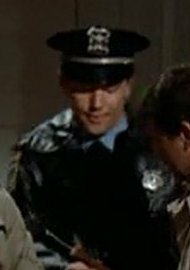 And the more I look at that screencap of the Patrolman, the more I wonder if that really could be Rick Jason.